Beyond is a group where 18–30s in Hexham and the surrounding area meet up for social events, tabletop gaming and other events. 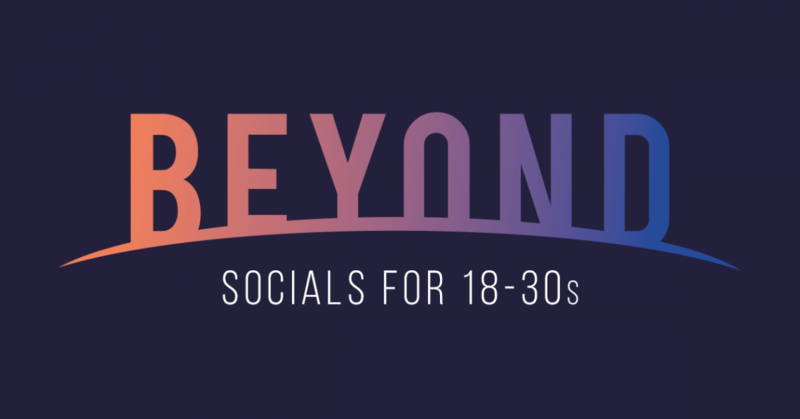 Beyond is open to anyone in our age bracket (18–39 years). Past activities have included bowling, pizza nights, photo challenges, evenings painting at Inspired Pots, film nights and murder mysteries. We have even had two Great Beyond Bake Offs with our very own Mary Berry and Paul Hollywood. We also encourage the 18s-30s to go together to events in Hexham Community Church and the surrounding area that include worship events, theology evenings, one off events in local churches, and conferences. In the past we have had weekends away and we also have worship nights and other similar events just for our 18s-30s a few times a year that our more focussed, equipping, and helpful in terms of spiritual growth and understanding. Saturday 2nd March – Pizza and Movie Night – 4pm at Hexham Community Church – children of 18s-30s welcome. Wednesday 20th March – Dinner or a drink at Spoons – 6pm onwards. Normally a quiz from 7pm, £1 to enter. These plans are subject to change, unless they are another churches event(! ), but for anymore details or to ask us any questions contact us via our Facebook page or email us at beyond@hexhamcc.com. If you have any enquiries, please get in touch with us. We would love to help you. Copyright © Hexham Community Church.